Steve is a Certified Performance Analyst specializing in the Four Corners of Performance for the rotational athlete and holds a degree from the University of Maryland. Over the years he has helped both the professional and amateur reach their genetic potential. His unique performance training programs are based on cross-specific motor learning drills, functional strength conditioning, and RNT (Reactive Neuromuscular Training). 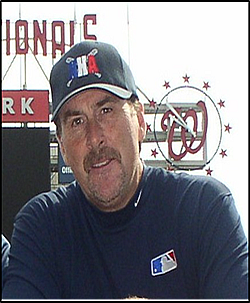 Steve is the co-founder of Advanced Baseball Training and Performance Center in the Northern Virginia area. 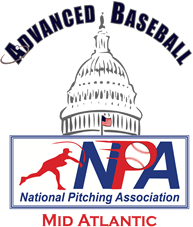 He is currently working with Dr. Greg Rose at the TPI human performance lab and Dr. Tom House at the NPA National Pitching Association. Their research is on analyzing the 3-D biomechanics of the swing and pitching delivery. The goal is to isolate physical limitations and problems with motor learning skills as well as the development of the protocols for performance and corrective training. Through his affiliations with Major League Baseball International Steve coached at the MLB Camp Europe at the Italian National Olympic Training Center in Tirrenia, Italy. There he joined the MLB staff of Jim Lefebvre, Rod Carew, Bruce Hurst and many others in raising the level of play by teaching the Major League way to players and coaches from seventeen different countries. For 2 years Steve appeared weekly on ESPN Radio as a Performance Analyst for the striker thrower athlete. His work has been featured in such arenas as MASN sports network, Lefebvre Training Center, MLB International, and the Jim McLean School of Golf at Doral. Steve created and developed the hitting program/DVD "Train the Swing" with former NL Rookie of the Year, Manager, and hitting coach Jim Lefebvre. Steve also co-authored the book "The Art & Science of Pitching" with Dr. Tom House and was a contributor to the book "Building a Million Dollar Arm".